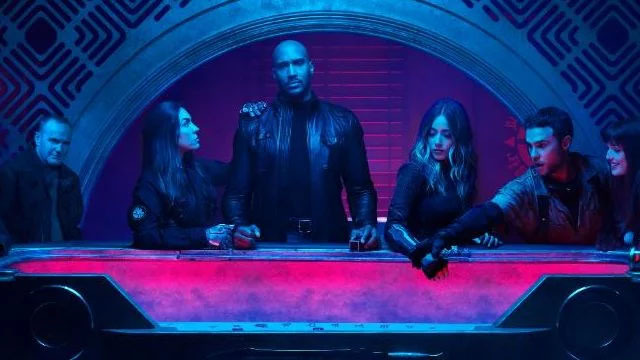 From left to right, we see Ming-Na Wen as Melinda May, Clark Gregg’s new character, Natalia Cordova-Buckley as Elena “Yo-Yo” Rodriguez, Henry Simmons as Alphonso “Mack” MacKenzie, Chloe Bennet as Daisy Johnson/Quake, Iain De Caestecker as Leo Fitz, Elizabeth Henstridge as Jemma Simmons, and Jeff Ward as their grandson, Deke Shaw. 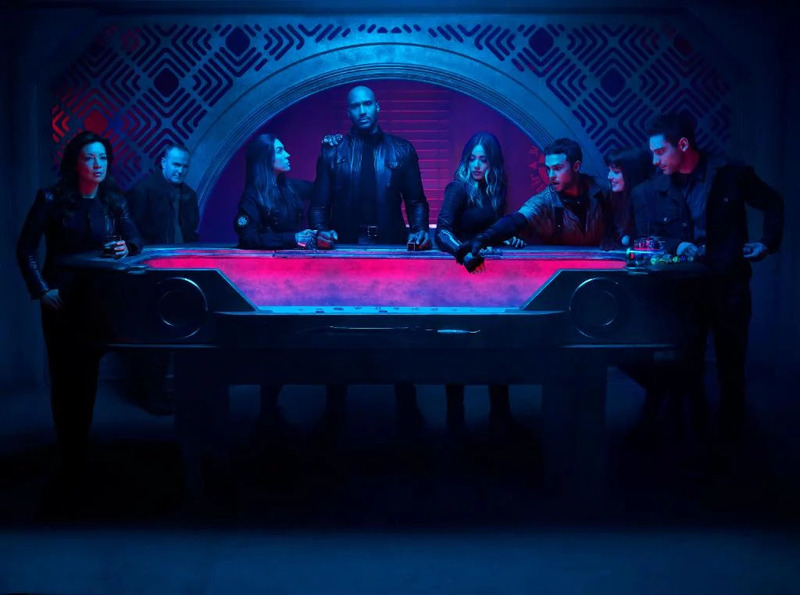 Note that Mack is now at the head of the table, where Jesus was placed in “The Last Supper.” With Coulson gone, Mack is the new Director of S.H.I.E.L.D., and he probably has a bigger role than in previous seasons. There aren’t enough cast members to fill out the Twelve Apostles, so it’s not an exact recreation. Presumably the man with Coulson’s face is the Judas of the group. Marvel hasn’t revealed who Gregg is playing this season. However, we do know that it isn’t Coulson. Perhaps it’s a Skrull, as a belated tie-in to Captain Marvel. Given the history of the show, a Coulson clone or an LMD are also strong possibilities. Agents of S.H.I.E.L.D. season 6 will premiere in May on ABC. What do you think about the new season 6 cast photo? Let us know in the comment section below!